Volunteer Opportunities at 2017 GSCCC Annual Council Meeting and Awards Luncheon! Step up and volunteer at this year’s 2017 GSCCC Annual Council Meeting and Awards Luncheon! There’s plenty of ways adults and girls may be involved. The event has a party spirit as we celebrate our girls and volunteers AND who we are as Girl Scouts! Take a look at the opportunities and decide how you can participate. You may want to volunteer only for Annual Council Meeting or the Awards Luncheon – or both! Select an opportunity and email customercare@gsccc.org, and we’ll get back to you with full details. Deadline to respond is Monday, December 19, 2016. Volunteers do wonderful things and they go above and beyond the expectations of their position. Take time to recognize these outstanding individuals by nominating them for a GSUSA national award. The deadline for nominations for the Thanks Badge (I and II), Honor Pin and Appreciation Pin is December 1, 2016, for volunteer service performed in the 2015-2016 membership year. Awards will be presented at the Annual Awards Luncheon following the Annual Council Meeting on Saturday, February 4, 2017, at the Hampton Convention Center. Do you still need to take the face-to-face Girl Scout Program Basics, Part II class? Join us on Saturday, January 14, 2017, at Kings Grant Presbyterian Church in Virginia Beach from 9-11 a.m.
Register through eBiz before January 9, 2017. The Girl Advisory Board (GAB) girls want your help in treating others to some homemade cookies for the holidays. Stratford University in Newport News has offered the use of their culinary kitchen and Now UR Cooking chefs have offered their expertise for the service project. Three sessions will be offered on December 10, 2016. Sign up here on eBiz for a session convenient to you, and get ready to make some cookies! Session 1: 9:30 – 11 a.m. Session 2: 11:45 a.m. – 1:15 p.m. Session 3: 1:45 – 3:15 p.m. Minimum 10 girls per time frame. Maximum 30 girls per time frame. All GSCCC offices and shops will be closed Wednesday, Thursday, Friday, and Saturday, November 23-26 and will resume regular hours on Monday, November 28. Richmond Ballet, The State Ballet of Virginia, is bringing the Nutcracker to Chrysler Hall from December 2-4 with a Girl Scout Night special for the evening performance on Saturday, December 3 at 7 p.m. Girl Scout troops can purchase tickets at a reduced cost and get a chance to participate in a meet and greet with the dancers after the show! Use the discount code SCOUT and receive 15 percent off. The discount does not apply to $20 tickets or previously purchased tickets and is ONLY available for the December 3 performance. 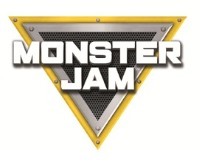 Purchase tickets at Ticketmaster either by phone (800-982-2787) or online at Ticketmaster.com. For group sales, call 757-664-6249. Delegate Training is required for all service unit Delegate Chairs and Delegates/Alternate Delegates to prepare for their role as voting members of GSCCC. The training will include an explanation of the delegate chair job description, information on topics that will be voted on at Annual Council Meeting, an overview of Robert's Rules of Order, and a State of the Council report. As we move forward together as a country during this post-election period, it is more important than ever that we continue to observe and model Girl Scout values like respect for others, inclusiveness, and civic participation. During this time, parents and volunteers need to be aware that some girls might be experiencing feelings of anxiety, confusion, and uncertainty. For volunteers and parents who may need support in how to talk with girls, here are some resources starting with the article “What Our Country Needs Right Now Is You." Girl Scouts’ developmental psychologist, Andrea Bastiani Archibald, gives advice. As part of the Girl Scouts/Disney Channel collaboration to promote girls' leadership, Disney Channel and Disney Junior are featuring Girl Scouts and their Take Action projects. Each of the two 90-second spots showcases the girls' experiences as true go-getters, innovators, risk-takers, and leaders (G.I.R.L.s!) in their communities—and how they lead the Girl Scout way as well as how they “lead like Elena,” with compassion, critical thinking, collaboration, and courage. You can view a special behind-the-scenes look as information on a Disney Channel and Disney Junior contest on the Girl Scouts of the USA blog. 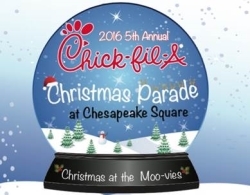 The Chick-fil-A Christmas Parade at Chesapeake Square Mall is seeking volunteers for their event December 3, 2016. The parade begins at 8:30 a.m. Volunteers ages 13 years and older are needed at 6:30 a.m. for staging and walking in the parade. Volunteers are invited to attend a volunteer dinner on December 1, 2016 and a volunteer breakfast on December 3, 2016 at the Chick-fil-A location at Chesapeake Square Mall. Volunteers will be presented with a volunteer letter documenting their hours of service. For details and to sign up, visit the event website or contact Cfaparadevolunteer@gmail.com. Registration, Silent Auction and Networking: 9-9:45 a.m. The Volunteer Toolkit will be available soon for use by troop leaders, key volunteers, parents and caregivers. This digital resource can be accessed through your smartphone, tablet or computer, making it easy to use at any time. Troop leaders and key volunteers will be able to streamline on-boarding and simplify troop management, meeting planning and program experiences, reducing their investment of time by half! Plus, they’ll be able to connect with other volunteers and communicate a Girl Scout's progress to parents. Parents can use the parent portal that will make it easier to communicate with their Girl Scout’s troop leader, manage their daughter’s schedule, and stay involved in her Girl Scout experience. What can you do now? Take a few minutes and view these five videos and find out how user-friendly the Volunteer Toolkit is. Watch your mailboxes. Login information will be sent out to all troop leaders, key volunteers, parents and caregivers in mid-December. Spring is only a few months away! Get ready for upcoming service unit encampments and camping trips by attending the Outdoor I and II Combined Camp Course in January. As we continue to celebrate the birthday of our Founder, Juliette Gordon Low, we are inviting all Girl Scouts to make a gift in honor of your Girl Scout birthday. If you joined Girl Scouts in 1990, you would make a gift of $19.90. It is a perfect way to celebrate your Girl Scout birthday during this special time of the year. Make your gift today. As part of our policy-influencing process, members 14 years and older may serve as Service Unit Delegates and participate in the Council democratic process. Service Unit Delegates are elected by the members of the service unit and are the communication link between Girl Scout Council of Colonial Coast girls, volunteers, community networks and Board of Directors. Delegates are entitled to elect representatives on the Council's Board of Directors and National Council Delegates at the Annual Council Meeting. The 2017 Annual Council Meeting will occur on February 4, 2017 at the Hampton Convention Center. Elections for Service Unit Delegates and Alternate Delegates are held at a service unit meeting in September, October or November of each year. Registered Girl Scout members of the ages 14+ can serve as Service Unit Delegates or Alternate Delegates. The Election Meeting is presided over by the Service Unit Delegate Chair, and following that service unit meeting, the Service Unit Delegate Chair is to complete this online service unit delegate election form here. The number of Delegates each service unit is allotted can be found here. As a part of the Centennial celebration, NASA Langley Research Center is hosting a Nationwide Art Contest for students in grades K-12. Using the theme “A Storied Legacy, A Soaring Future,” students are encouraged to let their imaginations fly while creating an original piece of art for the contest. Artwork will be accepted starting November 1, 2016, and must be submitted by December 31, 2016. You will be able to view all of the artwork on the NASA Langley Flickr page and the 1st place art from each grade will be displayed at the Virginia Air and Space Center. Earth! NASA will accept artwork from all 50 states as we encourage kids to use their imaginations and share the NASA Langley story! Did you know you can participate in the Fall Product Program traditionally, online or both? GSCCC’s Fall Product Program continues through December 4, 2016. Online participants do not have to deliver product or collect payment, and it only takes a few steps to get started! Register, setup your store, then send emails to friends and family. Get started here; use Council code: 2690139. Prefer the traditional sale? Please reach out to your troop leader or customercare@gsccc.org for more information. For more information on the Fall Product Program visit us online. On September 23, 2016, caregivers received a launch email to kick off the online portion of the Fall Product program. Partner with girls to setup their online stores now so they’ll be ready to receive orders when the program kicks off on October 1, 2016. For more information, visit our website or email customercare@gsccc.org. Preorders for the Toffee-tastic cookies will not be required this year. For the first time the Toffee-tastics will be printed on your order card and included in the initial order. Tour A Place for Girls, The Lodge and The Outback. Have the opportunity to try out the Volunteer Toolkit. Envision Lead Grow is more than an idea - it’s a movement. We want to empower you to build your dreams. That starts with a passion - your passion. We’ll show you what it takes to turn your passion into something incredible. It will require planning, dedication and heart. Is it worth the effort? Absolutely! A webinar is set with Angela Reddix, President and CEO of ARDX, as the host, and we're so excited to offer this to young women anywhere. This webinar is open to girls in grades 7-12. Komen Tidewater is looking to have two to four troops (approximately 20 Girl Scouts) to be at the 8th Street Water Station and the Finish line to hand out water to the race participants. The Race Park opens at 7 a.m. and the Competitive Race will start at 7:30 a.m. The Recreational Race will begin at 8:30 a.m. The girls need to be able to stay until all of the runners have crossed the finish line. Girl volunteers will need to arrive with their volunteer waiver signed by their parents/guardians. Volunteers will receive a community service letter. VFW offers a variety of scholarships for middle and high school students such as Voice of Democracy, Patriot’s Pen, Teacher’s Awards and Scout of the Year. There are national and local awards, so you’ll need to submit your entries to your local Post as a starting point. To find the VFW Post in your area, search here. Find information on these programs and deadlines for submissions here. Are your girls ready to expand their outdoor skills to go backpacking? Register for this course (formerly known as Outdoor IV) and you will take a short trip and learn backpacking skills that you can share with your girls. Begins Friday, October 28, 2016, 4:30 p.m.
Ends Sunday, October 30, 2016, 5 p.m.
For questions, contact Cheryl McGrenra, Learning Manager, at cherylm@gsccc.org or 757-410-0595. By completing this class, you will be qualified to work with girls on the GSCCC Camp Darden low ropes challenge course. You will learn Girl Scout activities that are appropriate to do with Girl Scout Brownies, Juniors, Cadettes, Seniors, Ambassadors and adults, on the ground as well as on the challenge course. Learn games that will build self-esteem, encourage teamwork, teach conflict resolution, and enhance communication and problem-solving skills. Girl Scout Daisies and Brownies, it’s your turn to cook! Work with chefs to prepare fun-filled delicious recipes to impress your family. Let’s enjoy the fine art of decorating our food and see how beautiful your creations will look. 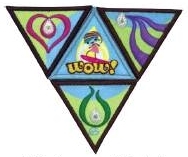 Girl Scout Brownies will complete some requirements of the Brownies Snacks Badge. Girl Scouts, start your engines! With over 26 acres of family fun, Motor World is the largest and fastest go kart complex on the East Coast and is sure to have something for everyone. With 11 tracks and 16 different styles of karts, you can take it easy on the family track or test your skills on the half-mile Road Racer Track! Thank you for taking the time to help ensure the success of our girls in our Council-sponsored product programs. For help accessing and updating eBiz email customercare@gsccc.org. This fall, Girl Scouts of all ages will have a great opportunity to participate in the Fall Product Program where they will take nut, candy and magazine orders from their friends and families. This is a voluntary program activity and a wonderful way for troops to generate funds. With your help and support, your Girl Scout will have the opportunity to participate in a quality program, develop five key business and leadership skills, as well as generate funds for girl-selected troop activities and projects. 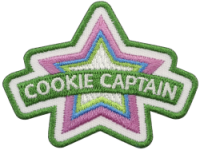 Last Call for 2017 Cookie Captains! Girl Scout Seniors and Ambassadors - are you experienced at selling Girl Scout Cookies? If so, become a Cookie Captain! Remember how hard it was to ask that first cookie customer? Become a superhero to Girl Scout Daisies and Brownies who are selling cookies for the first time. Share what you know - and earn service leadership hours too! The Kappa Delta sisters request the presence of Girl Scout Daisies and Brownies at their Fall Festival to be held at the College of William & Mary on October 22, 2016. See the attached flier for details. Contact Ashley Darang at apdarang@email.wm.edu by October 12 for questions or to register. Walk to End Alzheimer's 2016 at the Virginia Beach Oceanfront is seeking Girl Scout volunteers to be cheerleaders along the route and to help at a water station. Girls need to be at Neptune Park at 7:30 a.m. Approximate time to finish is 1:30 p.m. Volunteers should wear Girl Scout uniform, Girl Scout t-shirt or some form of Girl Scout identification. Interested troops should contact Donna Farnham at donnaf@gsccc.org by September 19, 2016. Due to the length of standing time, girls in grades 4 and up are preferred. Come to the Old Coast Guard Station Girl Scout Ghost Walk on October 22 for ghost stories and local lore with a costumed guide, games, hot chocolate and more! Wear your Halloween costume for spooky fun for the whole troop! Not recommended for children under age 8. Registration deadline: October 1, 2016. For more information, contact education@oldcoastguardstation.com. Volunteer Essentials is your guide to volunteering with Girl Scouts. This handbook will guide you through everything you need to know as a Girl Scout volunteer. From taking trips and staying safe, to managing finances and program materials, Volunteer Essentials is your Girl Scout encyclopedia that’s there when you need it. Volunteer Essentials has been updated for September 2016. Find the Summary of Changes here. This October 7–9, a space science education workshop will be held at the University of Arizona. Astronomy Camp for Girl Scout Leaders is a biannual program made possible by NASA as part of the of the “Reaching with the Stars” partnership with the SETI Institute and in collaboration with the University of Arizona, GSUSA, Girl Scouts of Northern California, the Astronomical Society of the Pacific, and Aries Scientific. Attendees will gain experiential learning at Biosphere 2, visit the Mt. Lemmon Observatory to work with a 61-inch telescope, and learn how to effectively engage Girl Scouts in space science. The cost of the workshop and lodging will be covered by the University of Arizona. There are very few openings and one person per council will be selected. Apply here as quickly as possible. All GSCCC offices and retail shops will be closed Monday, September 5 in observance of Labor Day. Tuesday, Wednesday, Friday: 9:30 a.m.-5:30 p.m. Grab your smartphone, camera or binoculars and explore nature in like never before! On Saturday September 24, 2016, Colonial National Historical Park will participate in the National Parks BioBlitz. A BioBlitz is a fun, fast-paced biological survey of a park’s creepers and crawlers, plants and pollinators, mammals and more! The National Park Service is celebrating its 100th birthday with more than 100 Bio Blitzes across the country. We Stand Strong is a teen-led disaster preparedness program that teaches kids grades 2-5 about how to prepare and be safe during natural disasters, such as a hurricane. 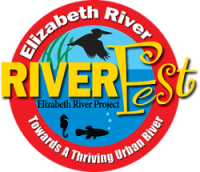 Volunteer Kickoff – Register Now! We can’t wait to...kick off another awesome Girl Scout year! Come kick off your Girl Scout year at this FREE event for all volunteers! Check out the new Volunteer Toolkit. Hear the latest information about the Customer Engagement Initiative (CEI). 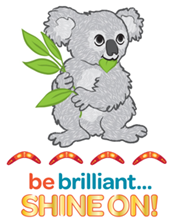 Choose from dozens of fun, interactive and informative workshops. Visit community service organizations and find out how your girls can lend a helping hand! Girl Scout participation in large area parades are now organized through the Council. Registration and fees for the Council to participate in large area parades will be paid by the Council. Troops and individual girls can register to participate in theses large area parades through the Council. A committee will be formed to plan and organize each parade. Participating service units will have their own banners to carry, which will be provided by the Council. We have THREE big CEI things you need to know for this month. 1. The next Membership Year is almost here. Parents and volunteers, make sure you renew your and your girls' memberships on eBiz. Troop leaders, make sure you get your troop's information in the Troop Opportunity Catalog by filling out the form before Friday, September 30. We have girls lining up at the door to join Girl Scouts, and we need your help to show them some Girl Scout sisterhood. Filling out the Opportunity Catalog Form will get these girls a spot. Spend $75 or more from September 1 - October 15, 2016, and receive a $10 coupon to spend on a purchase of $25 or more from November 1-18. By completing this class, you be qualified to work with girls on the GSCCC Camp Darden low ropes challenge course. You will learn Girl Scout activities that are appropriate to do with Girl Scout Brownies, Juniors, Cadettes, Seniors and Ambassadors on the ground as well as on the challenge course. Learn games that will build self-esteem, encourage teamwork, teach conflict resolution and enhance communication and problem-solving skills. This course will teach you the basic steps of shooting and prepare you to facilitate archery courses for Girl Scout groups. For questions about the class, contact Cheryl McGrenra, Learning Manager, at cherylm@gsccc.org. All GSCCC offices and shops will be closed Monday, September 5 in observance of Labor Day. All who participate win! 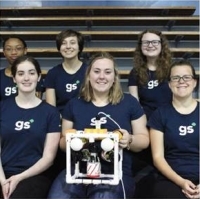 Girls learn new skills and can earn cool rewards. Troops generate funds for supplies, activities and trips. Your participation helps the Council continue to offer affordable, quality programs and events for girls, adult training and to maintain our camps. This year, our goal is to raise $125,000 to support the troops’ funds. We invite you to participate and take part in this fun activity. The Fall Product Program begins October 1, 2016. For more information, visit our website or email fallproducts@gsccc.org. Introducing the Girl Scout S’mores™ cookie! 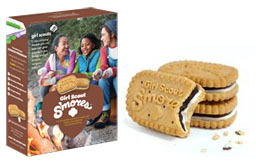 Do you want to be the first on your block to try the Girl Scout S’mores™ cookie? Ask a Girl Scout for a link to their online Digital Cookie store - you can have them shipped to your door in a matter of days! Girls will begin taking traditional orders on January 7, 2017, and will be delivering cookies the week of February 19, 2017. For more information email cookies@gsccc.org. Volunteer Kickoff - Register Today!